What is the Best Treatment for TMJ? If you are experiencing persistent jaw pain, it could be TMJ. If that is the case, it is imperative to get treatment immediately. Not only will treatment curtail any pain or other uncomfortable symptoms you are experiencing, but it can also prevent long-term issues from developing that can potentially be more serious. 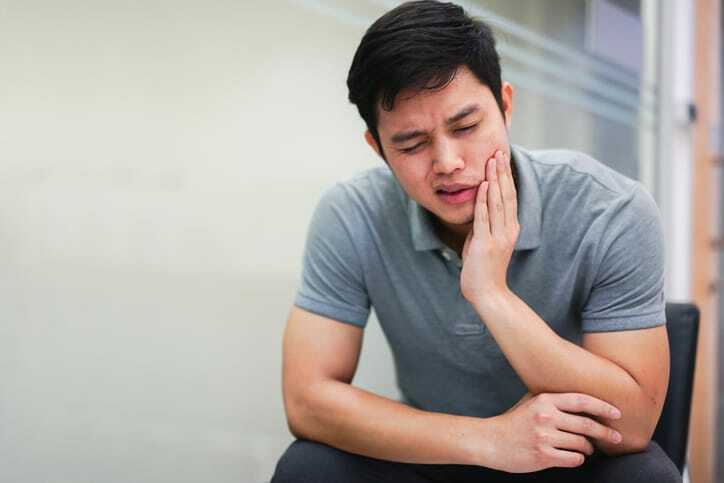 There are a variety of different ways to treat TMJ, and depending on your situation your dentist will decide which treatment is best for yo041u. The team at University Dental in San Diego have expertise when it comes to treating TMJ, so if you would like to learn more about TMJ treatments give us a call at (619) 582-4224. The first step in treating TMJ is usually some kind of non-drug therapy that will hope to resolve any existing jaw pain. Below are three of the most effective TMJ therapies. Oftentimes the best treatment is the most simple. For those with persistent jaw pain, a dental expert may advise them to wear a mouth guard or oral splint. They usually wear a device, either firm or soft, directly over the teeth to provide relief. Physical therapy for TMJ can consist of a variety of unique techniques, including applying heat, icing the jaw, or using ultrasound treatments. Physical therapy will also have patients participate in jaw muscle exercises that work to stretch and strengthen the crucial muscles. Oftentimes TMJ is caused by behavior that is detrimental to the long-term health of your jaw. This is where expert counseling comes in. These counseling sessions will aim to help you understand the potential damage you may be doing to your jaw that can lead to aggravation and pain. By learning these behaviors, the hope is that you can avoid them in the future. Some of these behaviors include grinding your teeth, leaning on your chin, fingernail biting, and clenching your teeth. If TMJ therapies are not providing you relief from persistent jaw pain, your next option is a surgical procedure. Below are a few of the most common surgeries and other procedures to help treat TMJ. Injecting corticosteroids or botulinum toxin type A into the muscles in your jaw that you use to chew can help relieve pain. Arthrocentesis is a minimally invasive procedure that has an expert putting tiny needles into your jaw joint to allow the joint to be flushed with fluids. This fluid infusion hopes to remove inflammatory byproducts and debris from the joint. An open-joint surgery is the last case scenario if no other treatments help to resolve the pain associated with TMJ. If the issue is a structural problem with the joint, your dental expert may need to replace or repair the joint. While the procedure is risky, it can sometimes be the only option. Do not go another day suffering from pain caused by TMJ. If you have persistent jaw pain, you need to see a dental expert to determine if it is TMJ. If it is TMJ, you should get treatment as soon as possible from the TMJ experts at University Dental. Located in San Diego, the team at University Dental is well versed in a number of different treatment methods for TMJ and are dedicated to finding the best treatment for you. If you are interested in learning more or scheduling a consultation, contact us today by calling (619) 582-4224. Is It Safe to Whiten Teeth? What Kind of Partial Dentures are the Best? Patients from all over San Diego County come to University Dental not only for general dentistry, but also for exceptional cosmetic dentistry, dental implants, orthodontics, oral surgery & periodontics and so much more. Dr. Armin Hage, DDS, practices in Rolando and serves the entire greater San Diego area. Looking for the best dentist near you? Dr. Hage proudly serves residents of the San Diego area including La Mesa • National City • Mission Hills CA • Mission Valley • Chula Vista • El Cajon • North Park • Lemon Grove• Kearny Mesa CA • Oceanside CA • and all other areas of the county.